All UK residents are liable to pay UK taxes on any income or gains they earn throughout the world, known as arising basis. 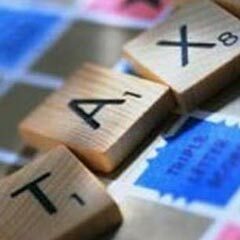 However, some people are exempt from these taxes, namely people who are either UK resident but non-UK domiciled, or people who are not ordinarily resident in the UK. These people can apply to pay an alternative method of tax known as remittance basis. Remittance basis is a method of tax that allows you to defer your UK tax liability for foreign income and gains. This way you will only be taxed if you remit capital back to the UK. Example- Nigel has purchased a boat with foreign gains, when he brings this back to England the boat itself will represent his foreign earnings and thus will be subject to tax. However, if Nigel leaves the boat overseas and does not bring, remit, it back to the UK then the tax will be indefinitely deferred. If you are not a resident of the UK then remittance basis can only be claimed on foreign income. If you are a UK resident who is non-domiciled then you can claim it on both capital gains and foreign income. However, you must be aware that claiming remittance basis means you will give up your right to a number of personal tax allowances, including those associated with capital gains tax and personal income tax. If you claim the remittance basis and you are classed as a long term UK resident then you are required to pay a remittance basis charge. A long term UK individual is a person who has been a UK tax resident for at least 7 out of the last nine tax years. This remittance charge is currently £30,000. The charge will not be levied against capital gains or income that is remitted back to the UK to be invested into UK businesses. Non-domiciled individuals may find that the rules surrounding the charge will be simplified to reduce red-tape and administration rigmarole. And lastly that the charge itself will be raised to £50,000 for non-domiciled individuals who have been UK resident for 12 years or more and still want to utilise the remittance basis. If a non-domiciled individual does not wish to pay the £30,000 charge, then they may be able to use an offshore bond instead. If you are a non-dom and you hold assets offshore that give you a gross income of less than £75,000 then you can avoid paying the £30,000 charge and instead pay into an offshore bond. Non-doms are also advised to keep their different offshore funds separate, so having more than one bank account will be beneficial. The different funds you are advised to not mix could include: income, clean capital, earnings from capital investments. Out of these three funds capital investment earnings would incur CGT if remitted, income would incur income tax upon remittance and clean capital would not incur any charges at all if remitted. When dealing with complicated financial matters such as these, it's always advised that you consult with a recommended IFA.